Fires happen more often than we think. Our fire safety system is a huge part of complete protection of your business. In 2016, there were nearly 1.5 million fires reported in the U.S., causing more than $10.6 billion in property damage. At Modomation, we understand that in order for you to have an effective fire safety system it must well integrated with your security, intercom, and life safety systems, in order for it to optimize complete protection of your business, employees, and customers. We specialize in the electronic installation and integration of duct detectors, smoke detectors, and elevator recall equipment. We can even tie into your existing sprinkler systems and set up each of your buildings or locations for 24/7 site monitoring. 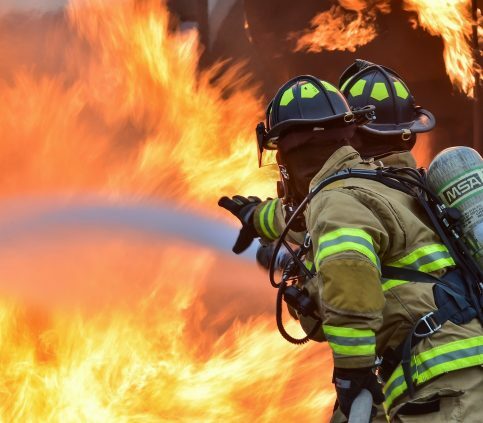 With the risks and dangers that exist today, integrated fire safety systems play an increasingly significant role in the protection and safety of your operations and your employees. By properly using today’s advanced technology, Modomation can effectively and efficiently help you disseminate critical information to building occupants and other audiences who need to be reached in an emergency. Our goal is provide long-term sustainable value, while helping to maximize the efficiency and cost-effectiveness of your fire system. Call us today to discover how Modomation can create a customized solution, that’s not only NFPA compliant, but also fits in with your needs and expectations.